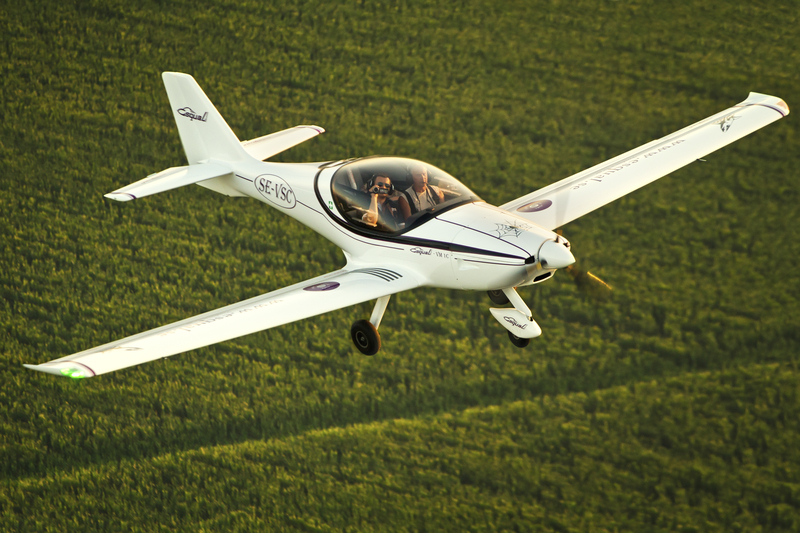 The VM-1 Esqual is a two seat ultra light air plane manufactured in carbon fiber with high density PVC foam and Epoxy resins. Laminated in a mould and vacuum cured in an computer controlled oven at constant controlled temperature and humidity. Production and development takes place in Alingsås, Sweden. The safety reinforced cockpit has twin axle composite beams all around its frame. 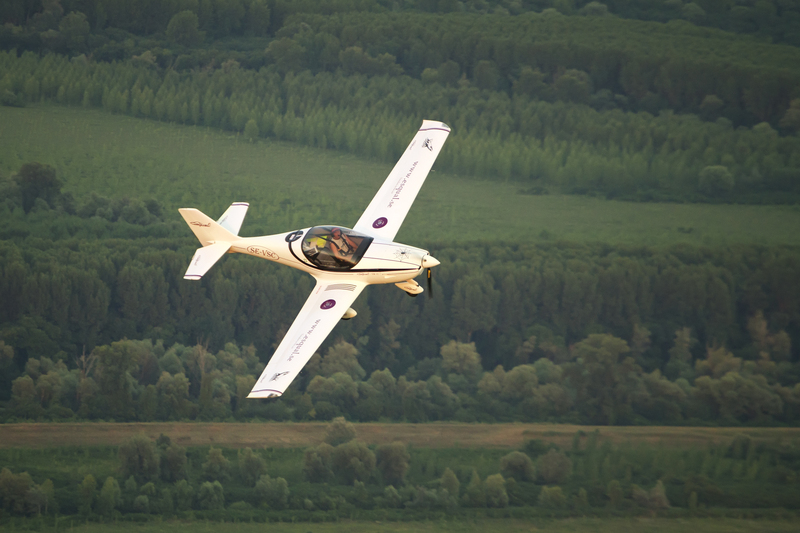 The low cantilever wing has positive changing flaps (as high lift devices). The wing structure has a composite sandwich skin with a main double “T” composite spar and an accessory spar near the trailing edge. The cockpit seats are side by side. Roomy I.F.R. capability instrument panel. The luggage compartment (with 50lts / 17 kg capacity) is located behind the seats and can be accessed during flight. The rudder pedals are adjustable in flight. Electric operated flap and electric trim are standard. Independent ventilation openings are standard, a cabin heater is an option. An optional ballistic parachute can be mounted. The landing gear of the Esqual has a classic tricycle gear which is made of 7175 T6 aluminium. The main gear legs are suspended in the main carry through beam together with the reinforced wing spar zone. The nose gear leg is supported in the engine mount and equipped with a free swivel nose wheel. The main wheels are equipped with independent hydraulic brakes for steering. Large fowler flaps for easy and safe landing. Large control surfaces for great maneuverability. 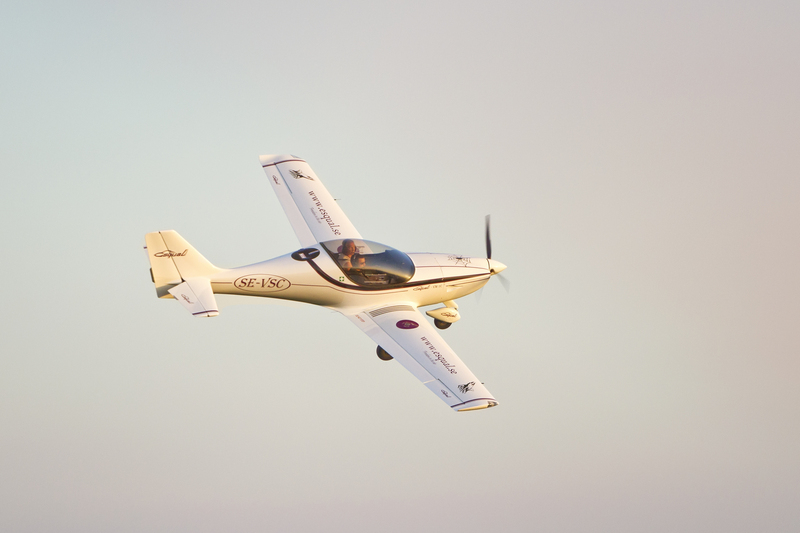 The comfort, speed and range makes the Esqual excellent for both longdistance and recreational flights. The large canopy gives you a very good overview of the surrounding landscape. The Esqual VM 1C has been certified and tested in Germany according to CS 22 and LTF-UL. Computer controlled and monitored fluttertest. 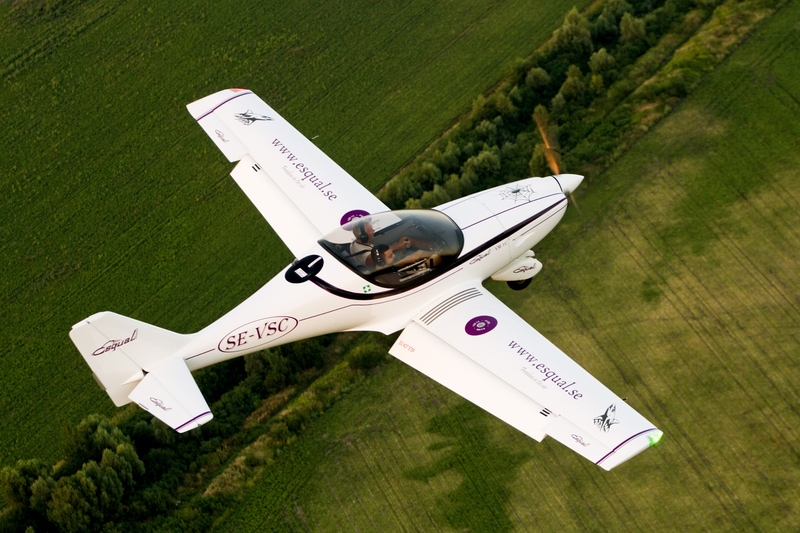 There are Esqual aircrafts flying all across Europe , USA and Australia. 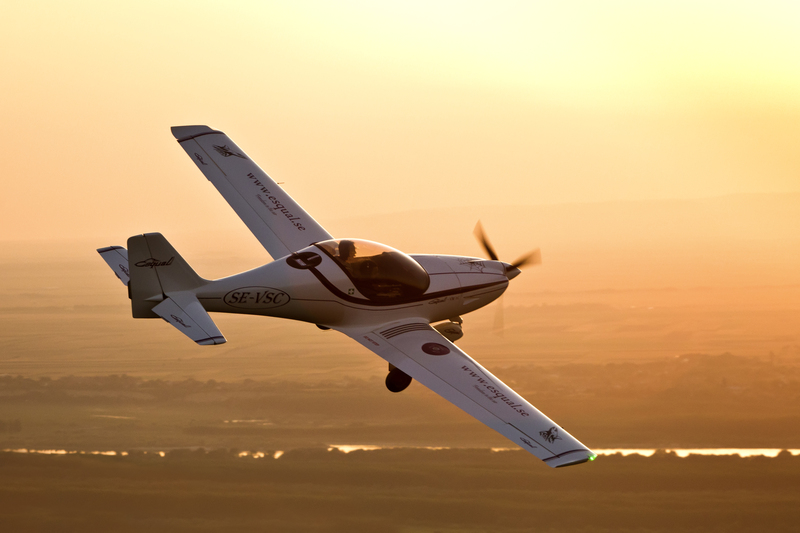 - After 300 hours in the air with the Esqual, in all kinds of rough weather, i just love it more and more. 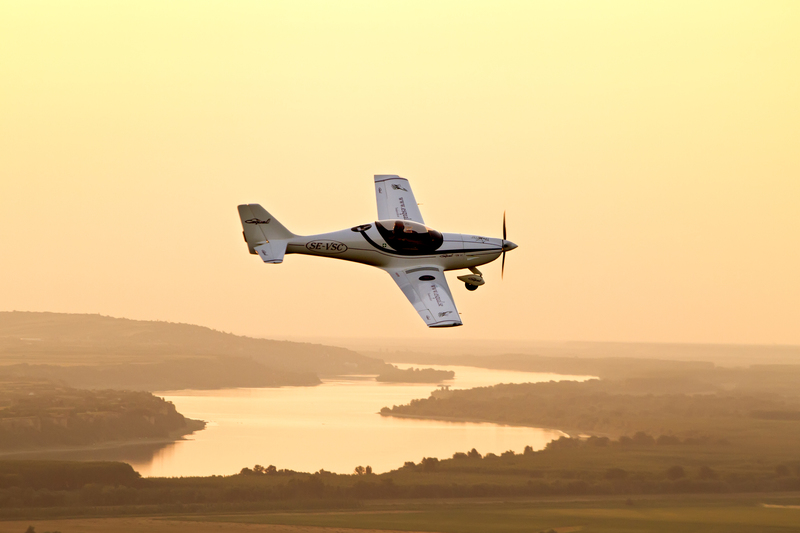 - ... the most beautifuls flights i've done in my long pilot life was done whith my Esqual! 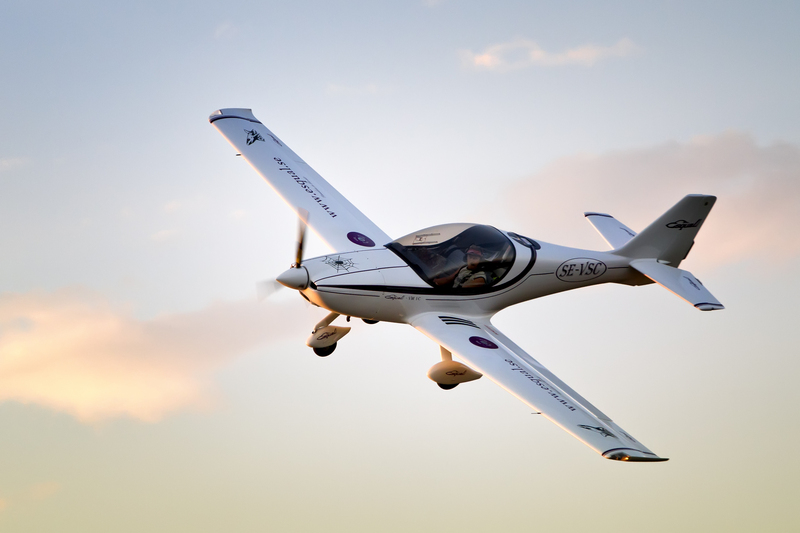 - The Esqual VM 1C is a Fantastic UL-airplane in the air, and looks fantastic!